I’m going to provide a series of 10 minute warmers – all of them tried and tested with my learners! This warmer is called ‘Unusual Statistics’. It can be used with all levels, Business or General English and is materials-free. When you see statistics in a newspaper or magazine, what do they look like? Elicit bar chart, pie chart. 2. Teacher draws an unusual statistic on the flip chart or whiteboard (no words!). Is it connected with….? Is it to do with….? Does it have anything to do with…? What does the first line/ bar represent? Can I/ we have a clue? 4. The learners eventually guess the meaning of the statistic, or the teacher tells them. Now I want you to create your own unusual statistic. You will work in teams but please keep your statistic a secret. *Teacher can also give examples here: The time people spend on….. The money people spend on…..
6. Learners then come to front of the class and draw their ‘Unusual statistic’ on the WB/ flipchart. They can then sit down, or stay at the board to answer questions from the class. 7. The other group/s of learners have to guess the meaning of the ‘Unusual statistic’ and what the x/y axes mean. For example, is it connected with your private life? 8. 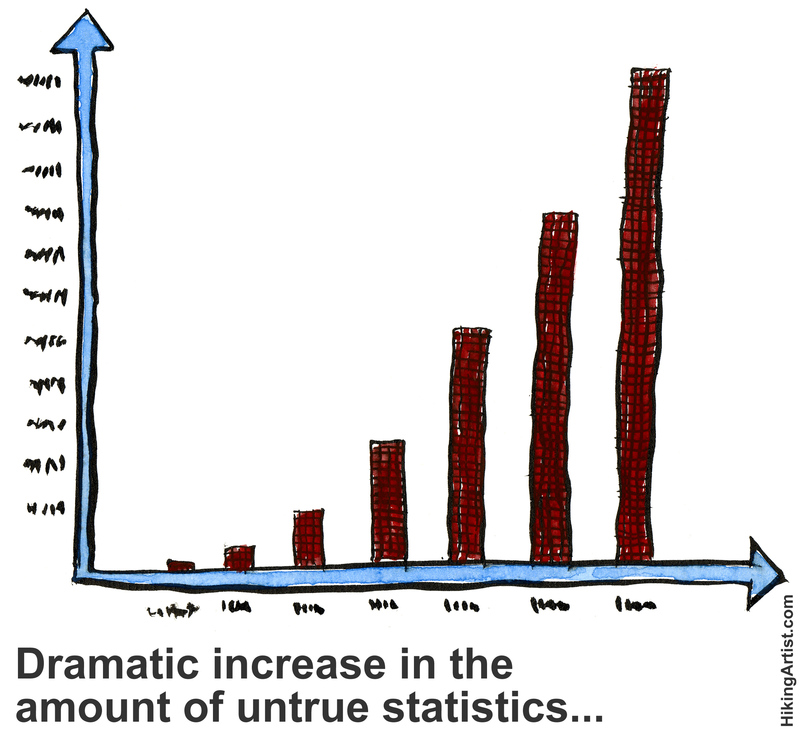 Repeat until all the groups in the class have shown their ‘Unusual Statistic’. 9. Vote on the best/ most interesting/ most difficult ‘Unusual Statistic’! The most important variation would just involve personalising the ‘Unusual statistic’ for your learners. For example, if you teach children one of the graphs could be ‘things we enjoy at school’, ‘food we like to eat’ and so on. For Business English, one of the graphs could be ‘time spent working’ or ‘time spent not working (at work)’. For homework get the learners to come up with examples of ‘Unusual statistics’ from their private lives, or their lives as learners of English e.g. ‘things that really help me learn English’. have u seen recent onion on stats? This entry was posted on August 27, 2014 by paulwalsh in DCT in action, For Teachers, Warmers and tagged activity, Decentralised Teaching, Decentralized Learning, lesson plan, materials-free, statistics, Task based Teaching, unusual, warm up, warmer.